I don't know if you caught it, but the other day I mentioned that I stay home on Mondays. Today I decided to share how and why that decision came about. It's been kind of a difficult transition this year, trying to figure out a routine that works for me. I think what it comes down to is I have spent the last 13 years of my life having my routine dictated by others. I mean, I definitely have sought to bring order to the chaos, establishing some semblance of a routine, but when it comes down to it, a puking toddler trumps all. With littles, there's always something. Nothing goes according to plan. Anyway, it's been a process trying to figure out what to do with myself. I started the school year setting priorities. And that was a good thing. I also set up a simple routine for myself. Also good. But Mondays. They were not good. And Tuesdays? Not good at all, man. In my simple routine, Mondays were errand day. Tuesdays were cleaning the house and laundry day. Wednesdays were for bigger projects, like tackling the utility room (still hasn't happened), Thursdays are my Bible study day and I decided to do baking and other cooking on Thursdays. Fridays were to be my fun day, to either go somewhere or work on a fun project at home. Sounds good, right? Here's the problem. Our house gets messy over the weekend. 'Cause, you know, there are 5, or often more, people running around making messes, and only 1 or 2 people cleaning any of them up (not complaining--because messes make for great memories--just telling it like it is). So on Monday, when all those mess-makers finally went somewhere else to make messes, I wanted to clean. But I had to run errands. But I wasn't ready to run errands. First I needed to plan meals, and then I needed to make a list, and then I needed to check my favorite deal sites and make those lists, and then I needed to check for coupons. It took half the day. And then I was shopping the other half. And then I had to come home to a dirty, cluttered house, and put the shopping away. My entire day revolved around all of...that. And then Tuesday, it was finally time to clean the house. But Tuesday mornings I volunteer at my kids' school. Usually I'm there for an hour, but one or two times a month I'm at school for almost 3 hours. So there's half my day gone again, and I haven't done anything at home. Not to mention the laundry. Laundry doesn't really take much effort, but when one is trying to get 6-9 loads done in one day, it's sort of mandatory to keep it moving, and in order to keep it moving along, one needs to be in close proximity to the washing machine. All day. It was a mess. I was constantly frustrated with myself for not being able to get any cleaning done and not being able to finish the laundry. My frustration poured over into the rest of my week. I don't know why it took me so long, but I finally realized that something had to change. I decided since I have to leave the house on Tuesdays, maybe I should run my errands on Tuesday, too. So I switched the days and gave myself permission to stay home on Mondays. This simple little switch has been life-giving. My Mondays are more relaxed and are a wonderful introduction to the week. I'm no longer beginning a new week feeling rushed and frustrated. Instead I begin with peace and a sense of accomplishment. Ahh. So good. You might think that staying home on Mondays would be restrictive, but it's actually felt quite freeing. I love that I can stay home and do what I want and need to do. I don't have to leave the house on Monday because I know there is time set aside later in the week for errands. If we run out of something, well, we can just do without until Tuesday. Here's how this all fits in with my priorities. God: Cleaning is, for the most part, mindless busy-work, which means that doing housework is a perfect time to pray. I crank up the local Christian music radio station and dance, sing, and praise through my day. In addition, I am honoring God by honoring and caring for myself, my home, and my family. Family: I am creating a more welcoming space for my family and a better atmosphere at home. Like they say, when mama ain't happy, ain't nobody happy. Rest: my Mondays at home are busy, but restful. Yes, I accomplish a lot, but since I am home and don't need to be anywhere else, I can rest as needed, read a chapter or two of my book in between tasks, or even take a nap. Self-care: I am caring for myself by leaving margin in the beginning of my week. I am not setting myself up for frustration and failure. Connection: Starting my week out in such a calm and favorable way makes me more likely to be in a place mentally to reach out to others, making those meaningful connections. I had been staying home on Mondays for a couple of months when I made some choices that had me leaving the house two Mondays in a row. I figured it wouldn't make much difference. Boy, was I wrong! The peace was gone, leaving frustration in its place. Now I'm back to guarding and cherishing my Mondays. How about you? What's your weekly routine like? Are there any changes you need to make? It rained here all day Sunday. Not off and on. Not sprinkles. A steady, heavy, all day rain. And it did it again on Monday. And it's supposed to do it again all day today. Sunday night I started thinking about the garbage. You see, Monday is our garbage day, and on Monday mornings AKD and a parent take the cans out to the end of the driveway when he goes out to catch the ridiculously early bus. I was thinking about the garbage, because I knew it would be raining on Monday morning. And cold and windy to boot. I didn't want AKD (or me, truth be told) to have to stand out in the rain, but if we were to bring the garbage cans out, we couldn't drive. 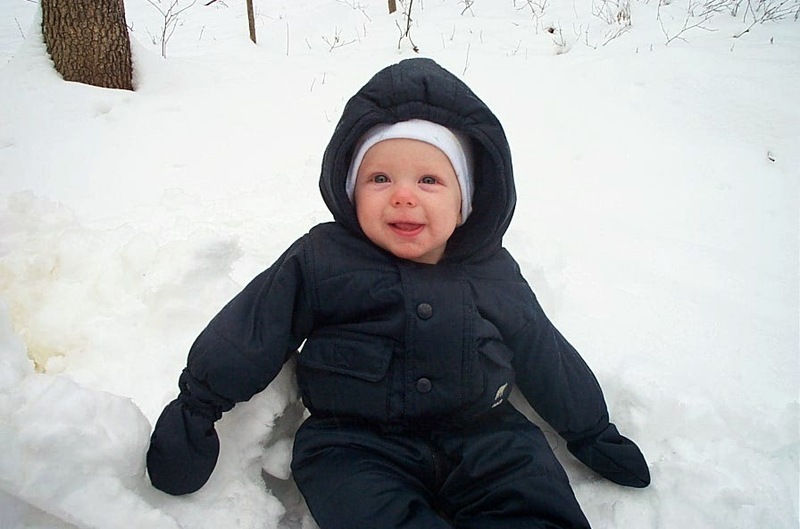 Then I started thinking about a time that God had mercy and delivered a miracle to me. It involves vomit and the bus stop, and you can read about it here. I thought to myself, wouldn't it be nice if God would stop the rain for the few minutes it would take for AKD and me to get the cans out there and for AKD to be picked up? Then we wouldn't have to stand in the cold, windy rain. I did not pray for that, mind you. I just thought it. Wouldn't it be nice? And then I went on making my human plans. I would drive AKD out to the bus stop so we didn't have to stand in the rain, and then I would try to find 5 minutes in between getting him on the bus and getting the others on the bus to get the cans out myself. 'Cause the garbage man is prompt and he comes before the Elementary school bus. Sure I would get wet, but at least I wouldn't just be standing around it in. I bet you can guess what happened. That's right. I opened the door just before we had to head out, and there was just a light, intermittent sprinkle going on. AKD and I walked the cans out to the bus stop, waited for the bus, and then I walked back to the house before the heavens opened up again. You might say it was a coincidence or that God wouldn't bother with such petty things. It was just a little rain, after all. You are welcome to think that if you must, but I know that the break in the constant rain, just at that moment, was just for me. In the same way that I will do something that's no big deal, but I know will make my children happy--show them that I love them--that's what God did for me. So thankful for every day miracles. We have another busy week ahead of us. And by "week" I mean "Tuesday." I am very happy with my decision several months back to stay home on Mondays, but that has meant that the errands I used to run on Monday have been pushed to Tuesday. Tuesday is also my volunteer day at the kids' school and Tuesday is Scout night, soccer night (soon to be x2 when Bubby starts next week), and the only evening we seem to be able to make it to karate (not a good situation). This particular Tuesday is further complicated by the fact that I'm needed at the school for an extra couple of hours and I've accepted a lunch mystery shopping assignment. Oy. It's tight, but do-able, and I guess the good thing is after Tuesday the rest of the week will be a cakewalk. And by "cakewalk" I mean "I-only-have-to-be-one-place-at-a-time-instead-of-4." 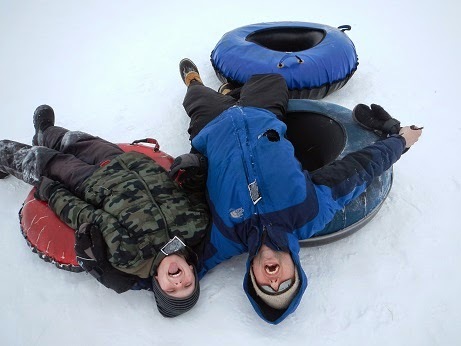 And can we get a BIG thank you to instructors, coaches, and Scout leaders for making our Tuesdays possible? -- Are you kidding me? How about you? What's going on this week? If you're not friends with me on Facebook, you probably don't know how entirely my family has fallen in love with No-Bake Nut Butter Chocolate Chip Granola Bars. I was seriously considering the merits of starting our own beehive to keep up with the honey consumption. These things are so very delicious. But Hubby has always preferred crunchy granola bars to chewy. I don't understand why, but I embrace it, because that leaves more chewy granola bars for me. In the interests of, well, saving money, while pleasing my husband (and preserving chewy bars for me--it's a win-win-win), I decided to try this recipe for Crunchy Granola Bars. They are really good. According to Hubby, these are better. According to me, they're not. So I thought I'd share the recipe with you--you can decide the crunchy or chewy debate for yourself--both are delicious. Do toast the oats--it takes a little extra time, but the payoff is in deeper flavor complexity. So good. I used a combination of walnuts, pecans, and almonds. If you don't like nuts, leave them out, but add in more oats to keep the ratio of wet to dry ingredients about the same. I used the pan size specified in the recipe, and my bars were a little too thick for our liking. Next time, I'll use two smaller pans to spread the mixture a little thinner. Do be sure to cut the bars while they're still warm--it will be impossible to get bars if you wait until the mixture is cool. 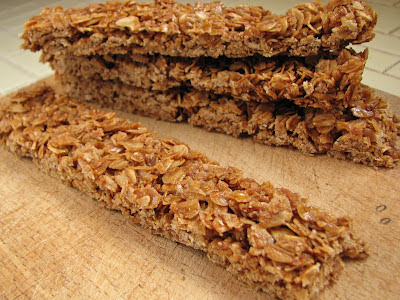 You'll end up with granola cereal, which is not necessarily a bad thing, but seems like if you're making granola bars, you probably want them to be in a bar shape, right? Last week, we had another winning meal! I already told you we loved the Turkey Ranch Club Wraps. We also liked the Chicken Taco Casserole. Five out of five Bluefields liked this dish, which is extremely rare. AKD even offered to eat the leftovers, which never, and I do mean never, happens. As in, this was a first. I'm happy to find another recipe to add to our rotation--it's so easy to fall into a rut where meal planning is concerned. All of the Bluefields liked the Hawaiian hamburger buns as well. They were not as soft as King's Hawaiian, but they tasted exactly the same. This week, it's not so much that we're needing to eat on the go, as we are needing to eat in shifts. One night, MC has karate from 4:30-5:30 and AKD has soccer from 5:45-7:15. AKD will eat before soccer and MC will eat after karate. Another night, AKD has soccer again from 5:45-7:15, while Bubby needs to be at school to get ready for his concert at 6:15. Soups lend themselves well to eating in shifts, as do sandwiches and wraps. You will find both on our menu this week. Challah, Vanilla Challah French Toast, and Bean & Egg Breakfast Burritos are back on the menu this week, since I didn't get to them last week. Your turn: what's on your menu this week? What meals do you have in your repertoire that work well to be eaten in shifts? Well, AKD had his first soccer practice. I asked how it was, and he said it was very, very ... runny. As in, they did a lot of running, NOT whatever else runny may mean to you in this or any other context. Hubby went to the parent meeting, and apparently it's not just games Monday, Wednesday* and practice Tuesday, Thursday. There's practice on Sunday, too. Yay. We've boarded this high-speed train and there's no disembarking 'til we reach our destination so...away we go! * Hubby wishes me to inform you that there aren't games every Monday and Wednesday. In fact, there are only 3 weeks between now and July 9, when the season ends (unless they make the state tournament) on which the team has games both Monday and Wednesday. 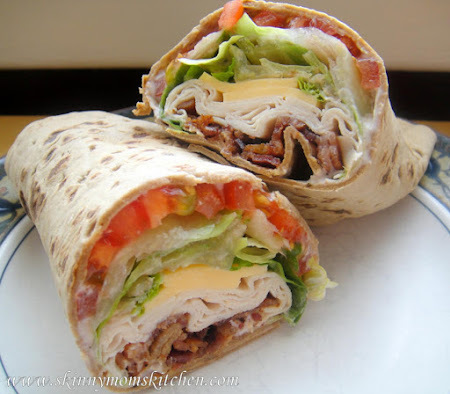 On Monday I told you that we were going to be eating a lot of on-the-go meals, beginning with Turkey Ranch Club Wraps. I am pleased to tell you that they were a big hit. So now I shall share the recipe, such as it is, with you, my friends and readers, to add to your on-the-go meal repertoire. You're welcome. And feel free to return the favor. I didn't take any pictures because, well, who knew everyone would like this so much? I wasn't planning on sharing. So I borrowed one from here. Mine didn't look quite like that, because I tweaked a few things, but you get the idea. To make this even healthier, use fat free dressing or Greek yogurt and turkey bacon. Optional (but very yummy): Other veggies, grated, julienned, or thinly sliced, like carrots, bell peppers, cucumbers. I used grated carrots. Use what you like, and what you have on hand. On each tortilla, spread ranch dressing. I used about a teaspoon per tortilla, but adjust based on how much you like ranch. Cover tortilla with thin sliced turkey. Mine took 2 slices per tortilla. Place tomato slices and other sliced veggies down the center of the tortilla. Sprinkle the center with grated cheese and any grated or julienned veggies. Place spinach or lettuce leaves down the center of the tortilla. Put bacon strips on top. I used 2 strips of bacon per wrap. Fold up the bottom 1/4 or so of the tortilla, then roll up from one side, leaving the top open. Now it's your turn. What are your favorite on-the-go meals? Please help me out, here. Because even though everyone loved this, I suspect they do not wish to eat it up to 4 times a week for the 3 months of soccer season. Spring sports season. For the first time ever, all three of my children are participating in sports at the same time. All three of them are playing soccer. Bubby and MC play and practice just one evening a week. Different nights, but still, just one night each. No biggie. But AKD is playing travel soccer. We were just informed that practices are Tuesdays and Thursdays and games are Mondays and Wednesdays. Every week. That's four nights a week. Anyway, it is what it is, and we'll figure it out. As a consequence, we're going to be eating on the go a lot for the next couple of months, which means we'll be eating portable meals. Portable meals should be nutritionally balanced meals that include whole grains, healthy carbs, and protein, and aren't particularly messy. Oh, and it helps if they can be made ahead of time and eaten cold. Sandwiches and wraps lend themselves perfectly to this model. Up first--Turkey Ranch Club Wraps: a whole wheat tortilla spread with light ranch dressing, and layered with turkey, bacon, cheese, and spinach or romaine. You could even add grated carrots and match-stick bell peppers to boost the nutrition. What are your favorite portable meals? 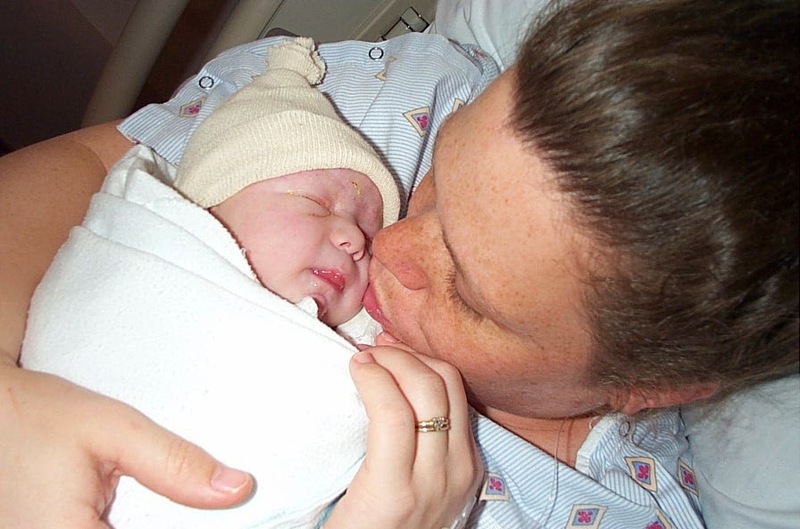 My middlest child turns 11 today. We celebrated with a few friends last week, and today we'll eat pizza, open presents, eat (another) cake, and watch a movie. Love it. 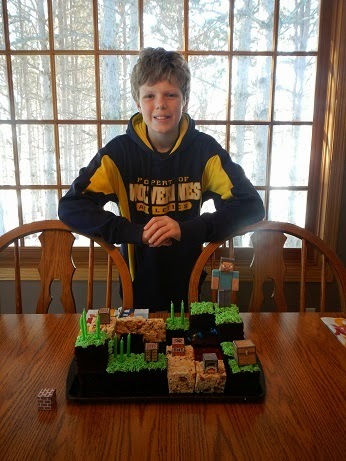 MC wanted a Minecraft cake. After consulting with my people (that would be AKD and Pinterest), I decided on this configuration. It's super easy, but looks impressive. My kind of cake. Cobblestone: Rice Krispie bars with a few dark chocolate multi-grain cheerios mixed in--you could also use cocoa krispies or half rice/half cocoa. I put a full recipe into a 9" pan to make them approximately the same thickness as the cake. Lava & water: Jell-O prepared with half the water to make it firmer and easier to work with. Two 3 oz boxes of Jell-O, prepared in a 9x5" loaf pan, yielded blocks that were about half as high as the dirt and cobblestone blocks. 2. Use a straight edge to cut the materials into blocks. I used two wooden rulers taped together, and my blocks were about 2.5" square. 3. Start placing blocks. Can you see the waterfall on the right descending into the lake? AKD's idea. And notice the water in the cobblestone cave in the back right? Also AKD's idea. Use toothpicks or wooden skewers to hold everything together (just remember to watch out for them when you're serving the cake). *Note--if you're using jello for water or lava, try placing the cake on a light colored board for contrast--as you can see (or can't see), the dark color of my tray makes it kind of difficult to see the water in my photo. 4. When you have the configuration you like, frost the exposed tops of dirt blocks with green-tinted frosting, using a grass tip (Ateco #133 or Wilton #233). 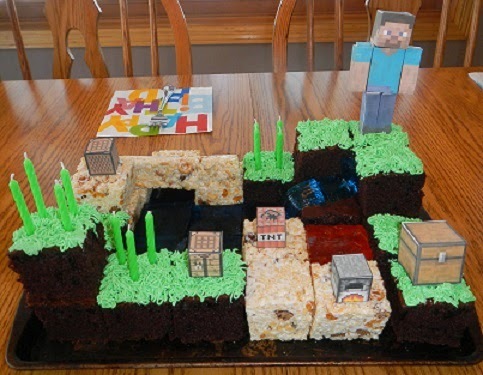 I used free printables to decorate the cake, but if you want to make it easier on yourself, you can buy Minecraft figures in the toy section at the Bullseye store. Maybe other places, too. I would have used those, but when the final decision on cake style came down I didn't have time to get to the store to buy them.